The Friedrich-Ebert-Stiftung Egypt office in cooperation with Ministry of Social Solidarity (MoSS) and the International Labour Organization (ILO) organized a workshop titled “Social Security Systems Strengthening”, which took place at Ministry of Social Solidarity premises in Cairo from 15.-17. August 2017. Social protection is globally recognized as an essential human rights element stipulated in the United Nation Declaration of Human Rights. It is also a step towards social security and it precisely addresses the core meaning of social justice. The objective of this workshop is to enhance the capacity of the staff supporting the decision-making process relative to the social security system in Egypt. in addition to providing policymakers and other stakeholders with an overview of the approaches for analysing pension systems with special focus on governance, investment and actuarial standards. The aim is to assist the Egyptian government in the design, implementation and monitoring of social security systems and providing information on policy changes and procedures required for its implementation. 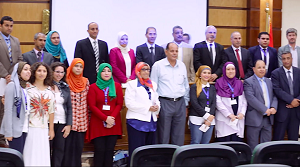 The three days’ workshop was attended by middle and senior level managers and policy analysts working in the government’s - supervisory and regulatory authorities, actuaries and academics from the Faculty of Economics and Political Science Cairo University, Ministry of Finance, National Organization for Social Insurance, Egyptian Trade Union organization and media representatives.